While we're on the subject of The Stylistics, their song "Rockin' Roll Baby" was written about composer Thom Bell's young son. The picture on the album cover is not his son, but some cute kid, found by the photographer, as a model for the shoot. Do you or anyone out there know who he is and what he's doing now? Not even Russell Thompkins, Jr. knows and says he's never met him. 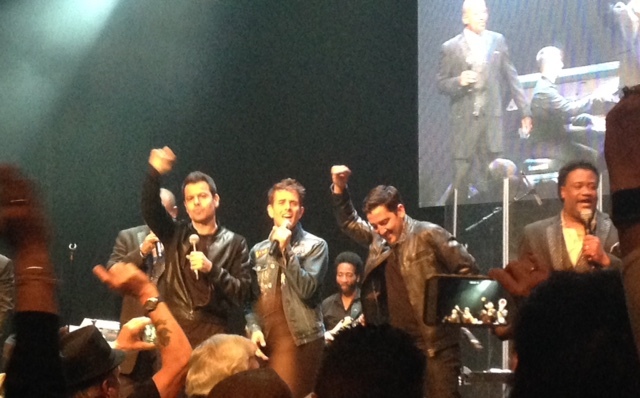 Like you, I don't consider myself to be much of a fan of The New Kids On The Block - that whole era of pop music was outside the scope of what I was focusing on at the time - but I will agree that a surprise double bill featuring both The Stylistics and The New Kids On The Block is a pretty big "get". Did they do any of their own songs? Or only the "duet" with The Stylistics? Hate to hear of the passing of Don Ciccone of the Critters on October 8th - exactly 50 years to the day since their biggest hit, "Mr. Dieingly Sad" peaked at #17 on the Billboard Hot 100. And I'd just featured that record on the 8th. Wow. So Sorry to hear of the passing of Don Ciccone of the Critters. Mr. Dieingly Sad was one of my favorite love ballads. What a beautiful arrangement of harmony. Looking forward to their upcoming 2017 schedule. You know I love people who truly devote themselves to their respective crafts whether it's sports, music, politics or hour painting. With that thought in mind, a tip of the cap - big time - to Jimmy Peterik, long time front man for the Ides, for his new CD, "The Songs." Jim's voice resonates with power, soul and passion. The first cut - no surprise! - is "Vehicle." However, this is not your great grandfather's power rocker. It's an urban blue slice of musical mirth. This may sound like a reach, but the first time I heard the cut I thought to myself, "B.B. King wouldn't have done this song any better - with or without Lucille." The tearful solo bridge only adds to what is really a very raw, stripped down effort. The songs is beyond heartfelt. It's credibility can not be challenged. My congrats to Jim. He has stood his ground. He has earned the right to sing his songs however he damn well pleases and on "The Songs", Jim opens up new and welcome turf. And thanks Kent for passing this along! You are very gracious my good friend! So glad you are enjoying my new cd. Nice running into you at the station. With all of the talk about That Thing You Do and other rock and roll movies that are being mentioned of late, perhaps it would be cool to create a Forgotten Hits Top 50 or 100 List of great movies about Rock & Roll.I would also like to add to the list of must see movies about the rock and roll genre "Telling Lies In America", which is a movie about the radio payola scandals. FH Reader Frank B sent us these clips of Paul McCartney and Neil Young performing together during last week's "Desert Trip" / "Oldchella" concert series ... further evidence that it really is well past the time for McCartney to hang it up. Ever the perfectionist, I can't believe even HE believes this is the way he wants to sound or be remembered by his fans. 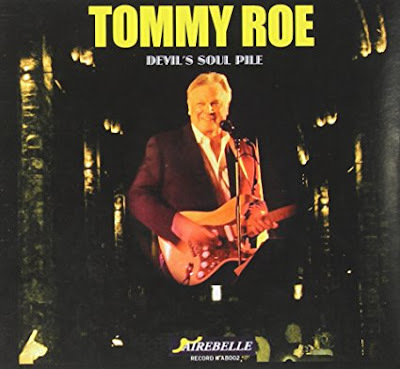 Got this clip from Tommy Roe ... funny stuff! There is play time, sad time, time in and time out, some other time and time wasted, but the fun time is right now remembering old times! The Box Tops and Ron Dante have been added to next year's Happy Together Tour Line-Up ... this is the first time for each of these classic artists. Meanwhile, The Association is back ... and The Cowsills, Chuck Negron (formerly of Three Dog Night) and The Turtles (Flo and Eddie) round out the show. 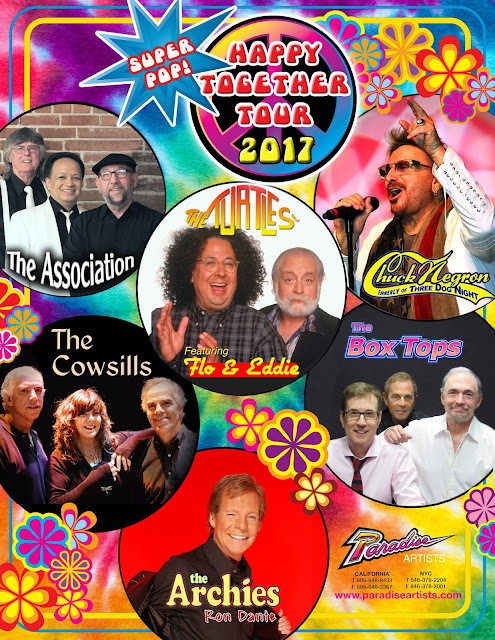 I AM VERY PLEASED TO ANNOUNCE THAT THE BOX TOPS will be part of the 2017 HAPPY TOGETHER TOUR featuring FLO AND EDDIE. This will be a great chance for fans to share the 50th anniversary celebration of THE LETTER with THE BOX TOPS! I am so happy to be joining all my pals on the Happy Together Tour next year. LOVE the Turtles and what they mean to music history. It's going to be an incredible party each show. Between The Association, Chuck Negron, The Cowsills, The Box Tops and me, it will be hit after hit, non stop. Looking forward to seeing all the fans. Seven GREAT acts will be joining together on a brand new bubblegum / pop tour next year. Dennis Tufano (original voice of the Buckinghams, Chris Montez, Tim Corwin of the Ohio Express, Elliot Lurie of the Looking Glass, Bo Donaldson and the Heywoods, Frank Jeckell and Mick Mansueto of the 1910 Fruitgum Company and Joey Molland of Badfinger. Between them they've got 24 hits ...and 9 gold records. And they'll be doing the sixties and early seventies like you remember them. Now coordinating tour dates for 2017. WRCO is currently promoting a concert on Friday night November 4th in Wisconsin Dells that will feature the Grass Roots, the Buckinghams, and Peter Noone. Should be a great show. I would have killed to see the Stylistics ... saw them with Russell Tompkins, Jr. in the lead at least half a dozen times. 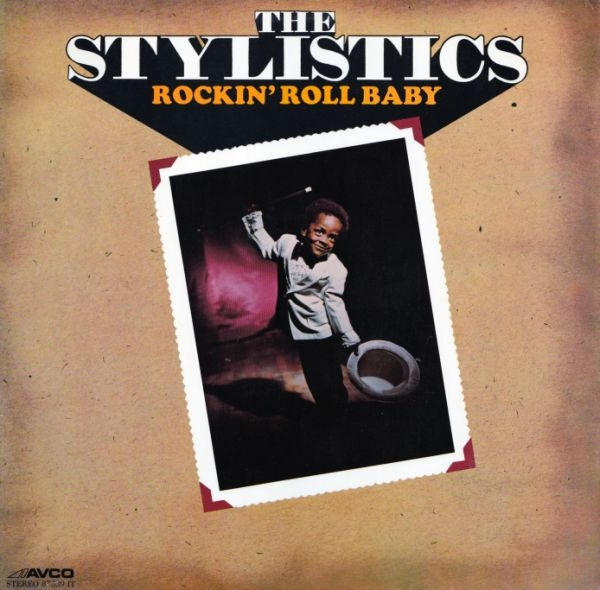 The Stylistics' "You Are Everything" rates just a notch below the ethereal, "I Only Have Eyes For You", by the Flamingos on my all time R&B mood music chart. Teddy Pendergrass' "Love TKO", and Isaac Hayes' "Walk On By", both have top five spots as well. Meanwhile I adore Stevie Wonder. I first saw him at the Regal Theater in 1967. But here's what i don't get about the Motown machine. Why did Berry Gordy have Steveland signing songs like "My Cherie Amour" and "You Are The Sunshine Of My Life?" Was Berry aiming to create a black Perry Como? Stevie is "Up Tight" ... the gritty "Livin' For The City" and the highly danceable "Part Time Lover." Also throw in "I Was Made To Love Her." To this kid who loved and still worships R&B, Wonder brought forth the Funk Brothers high voltage, brass driven sound. Please, Stevie, don't cover "We Can Work It Out." It's beneath you. I'd be willing to bet you that all those songs ... "My Cherie Amour", "You Are The Sunshine Of My Life" and even "We Can Work It Out" were every bit as much Stevie's idea as Berry Gordy's ... Wonder was looking to grow his audience ... and it's hard to argue with the success of those records ... "Cherie" made The Top Five, "We Can Work It Out" the Top Ten and "You Are The Sunshine Of My Life" (at which point Stevie Wonder was in COMPLETE control of his career" went all the way to #1. (I seem to remember Wonder and Gordy arguing about Stevie cutting "For Once In My Life", at track first released by Tony Bennett of all people! Gordy said it just didn't fit ... but Stevie insisted he could kill it on that track. He did ... and it, too, went all the way to #1. Glad you got to hear The Stylistics live. I've never had that pleasure. Vibes must be in the air, because I hadn't listened to my "Best of The Stylistics" CD for a long time, but took it along for a long trip in my car Thursday night. Their music really helped me get through the drive. The group was popular during my college years and have some great songs to remember. I love the Philadelphia sound. Most of the Stylistics' hits were written by the great songwriting team of Thom Bell and Linda Creed, who also wrote hits for The Spinners and others. In addition to those two legendary groups, every fan of Bell / Creed compositions must have "I'm Coming Home" by Johnny Mathis in their collection. It is a very creative, touching, melodic album. 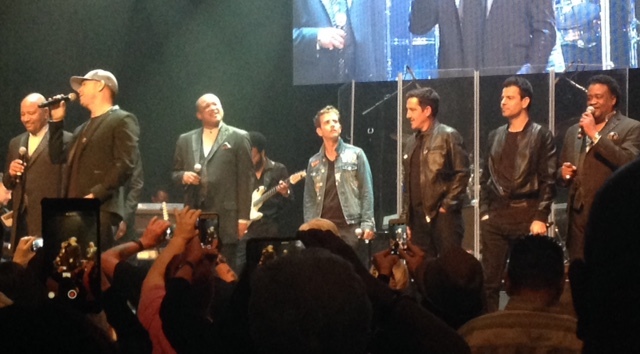 Thanks for the review of the Stylistics’ concert at the Arcada. After “You Make Me Feel Brand New”, the Stylistics parted with Thom Bell and Linda Creed and hooked up with Hugo and Luigi, with the great Van McCoy doing the arrangements. This set up found great favorability in the UK with “Can't Give You Anything (But My Love)” going all the way to #1 there. I have also had apprehensions about seeing The Stylistics without Russell Tompkins, Jr. and, as such, have yet to buy tickets to one of their shows. I've heard good things and bad things -- but it sounds like you caught them on a good night. Glad you were finally able to enjoy the show. 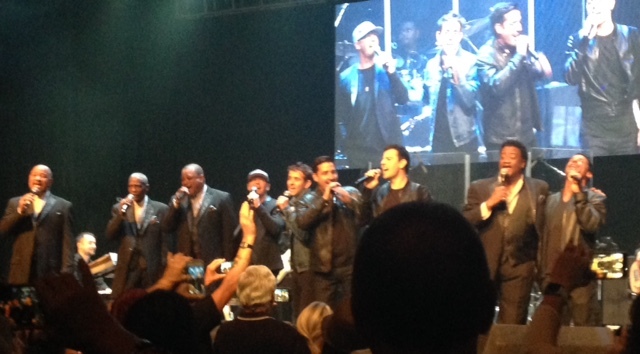 The New Kids showing up at a Stylistics concert is about as surprising as a surprise guest can get. If you didn't have the photo, I wouldn't have believed it, but that is definitely a Wahlberg of some sort, and Mark is probably occupied. NKOTB trivia: They got a big break as the opening act for Tiffany. By the end of the tour, they were the headliners. Truth be told, I couldn't name a single New Kids On The Block song if there were a million dollars on the line ... and, even looking at the list (they had nine straight Top Ten Hits between 1988 and 1990), I couldn't hum one either (other than their remake of the old Delfonics song "Didn't I Blow Your Mind") ... but that was them all right ... more of an historic moment than anything else for me, I guess. 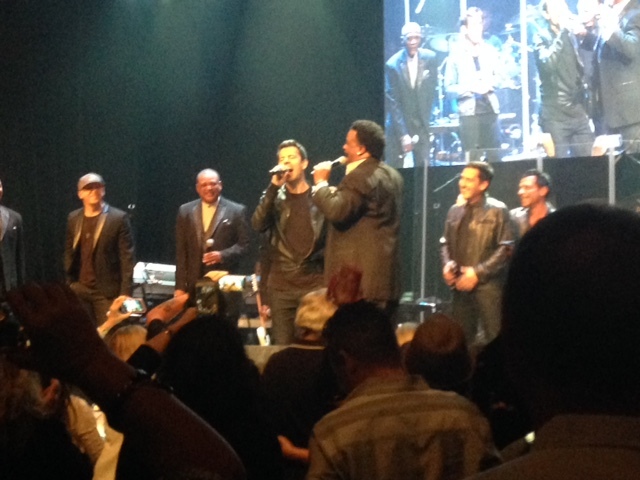 (Frannie snapped a few more cell phone pix ... see below). Don Ciccone, original member and lead vocalist of the Critters and later a successful member of the Four Seasons, died Saturday (October 8) at the age of 71. Born in Plainfield, New Jersey, he joined a local group called the Vibratones in 1964 (though some of the members had already backed him up on a solo recording the previous year). Changing their names to the Critters, they recorded for Musicor before hitting on Kapp Records in 1966 with John Sebastian's tune,"Younger Girl" (#42). It was followed up by an ever bigger hit, "Mr. Dieingly Sad" (#17 - 66). Other chart entries included "Bad Misunderstanding" (#55 - 1966) and "Don't Let The Rain Fall Down On Me" (#39 - 1967). The group broke up in 1967 as Don enlisted in the Air Force, but two years after his return he was invited to join the Four Seasons and played guitar and sang on "Who Loves You" (#3 - 1975) and "December, 1963" (#1 - 1976). Leaving in 1981, Don became a commercial jingle writer, toured with Tommy James as his musical director and, in later ears, re-formed the Critters. 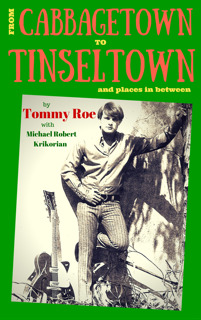 Tommy Roe has a brand new book coming out called "From Cabbagetown to Tinseltown ... And Places In Between". We had a great time interviewing Tommy earlier this year for Forgotten Hits ... and can't wait to read about all the other things we didn't have an opportunity to cover. And, Tommy has agreed to autograph a copy of his new book to send to one of our FH Readers. In addition to an ongoing tour (performing "Pet Sounds" in its entirety for the last time) and a brand new biography coming out today, Brian Wilson is also working on a brand new album. FH Reader Frank B wonders where he finds the time!!! We recently had the Beach Boys 50th Anniversary. I think Brian and Al Jardine are touring now to support the 50th Anniversary of "Pet Sounds." Next week he has a new book coming out ... and soon a new album. Where does he find the time to do it all.? Jose Feliciano’s version of The National Anthem was great ... and he gets full credit for being the trailblazer. Marvin Gaye at the 1983 NBA All-Star Game remains the gold standard. The way the crowd reacted and the way their participation built throughout, and the thunderous ovation at the end … it still gives me chills every time I watch it. Seeing the posted tune of 16 TONS by ZZ Top, reminded me of the answer to Tennessee Ernie Ford's version. Have you ever heard of 16 POUNDS by singer Gloria Becker? Frank also sent us this clip of Bobby Darin singing "That Funny Feeling", live on The Andy Williams Show ... notice as Bobby blows the lyrics but just keeps right on going without missing a beat ... and even acknowledges his goof in song! 10/9/1964 = Filming of this movie begins. Play this clip. Bobby blows the lyrics to a song he wrote. Bobby may not be perfect, but I still think he's great. I thought your comment about 'That Thing You Do' was spot on. It is such a great movie and so many have never seen it or barely remember. The same holds true for 'Almost Famous'. I have friends that are huge music fans and have never seen it. Pirate Radio is another movie on my 'why have you never watched it list?' A radio fan and 60s music lover would appreciate it.